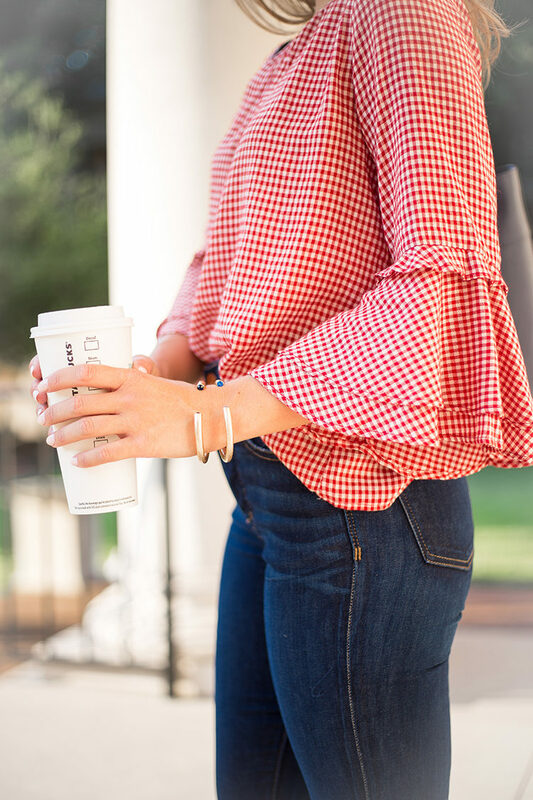 We’ve made it to another Monday, friends, and you know what that means… a new back-to-school look with Belk! 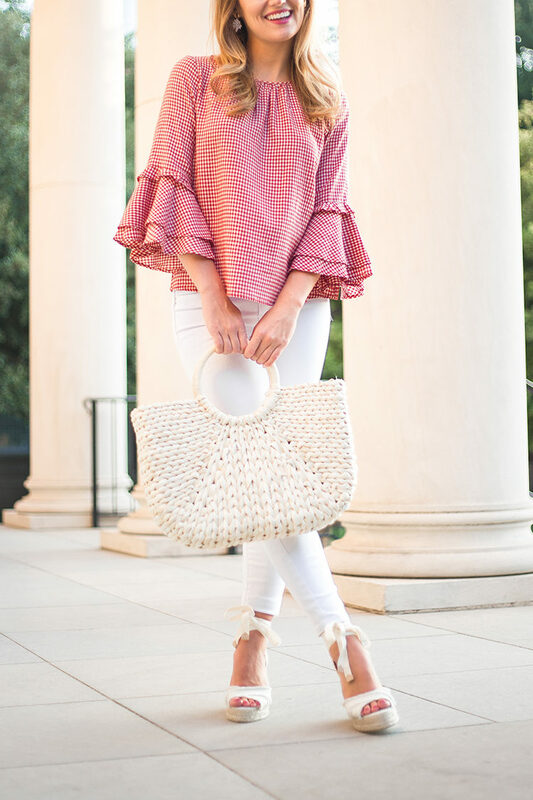 Take a look at how I’ve styled this one top for both summer and fall below. 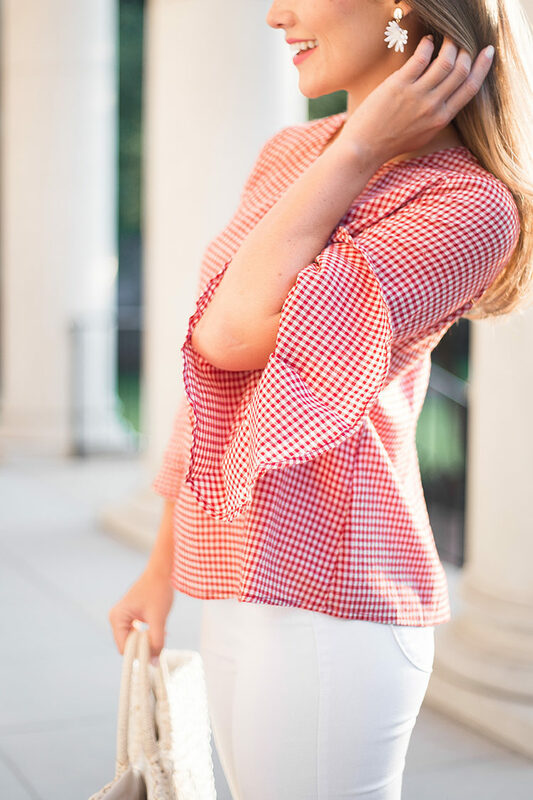 I’ll meet you at the end of the post with a few more thoughts on how to get the most out of your summer blouses! 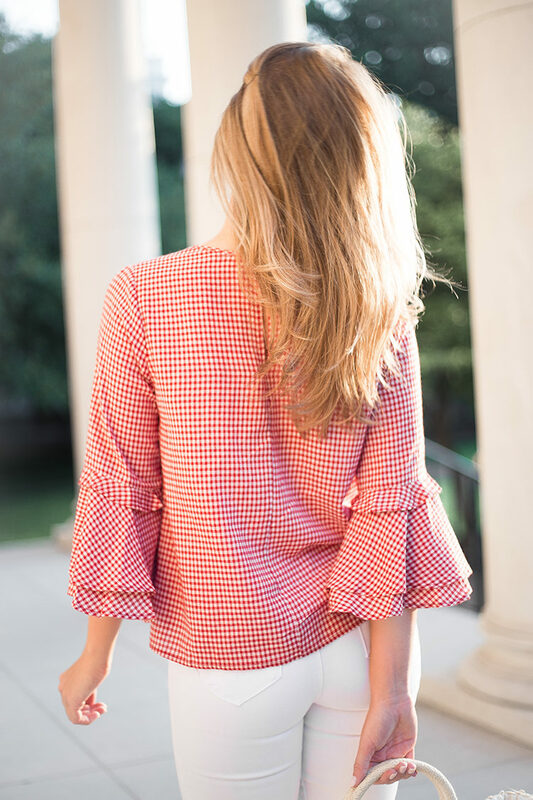 When you start out with a classic pattern like gingham, it’s really hard to go wrong no matter the season. 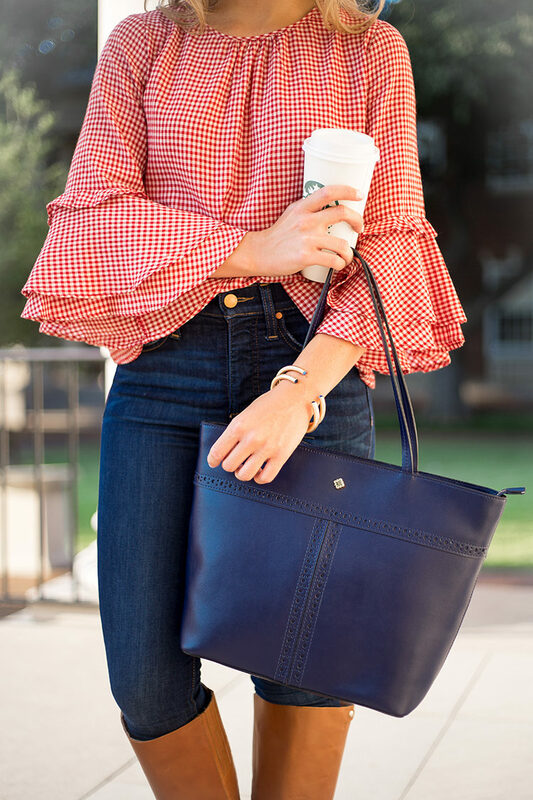 Simply choose a versatile color and change up shoes and accessories to match the month you’re in! 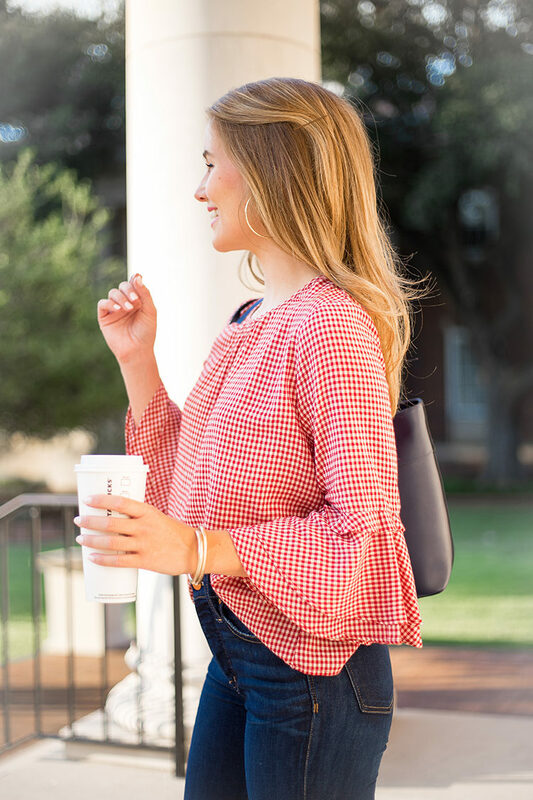 What makes this gingham blouse so special, in particular, is its perfect balance of comfort, versatility, and classic southern style at a price point (cough cough… $19) that is truly hard to beat. 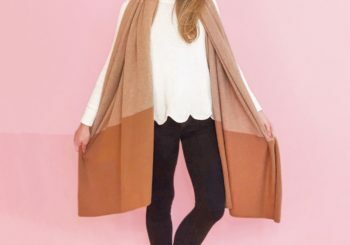 Next thing to look for in a transitional piece? Comfort! 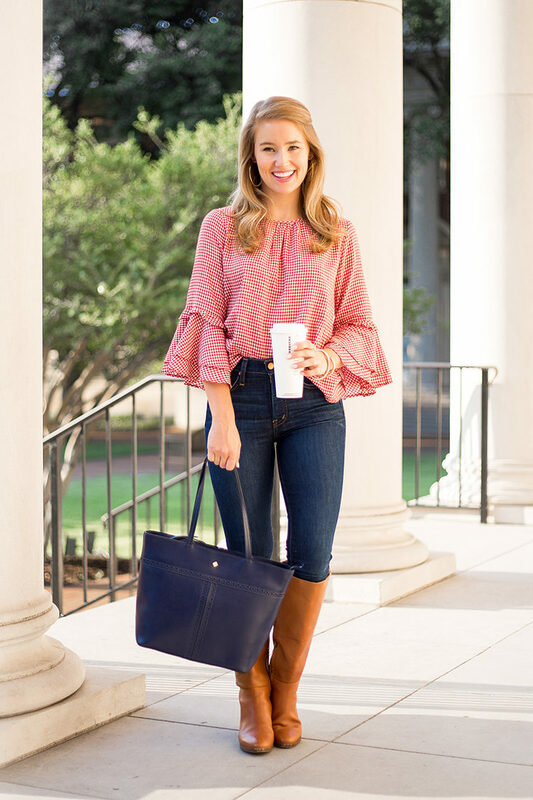 This top is incredibly lightweight and oh-so-soft, making it perfectly comfortable paired with white jeans for these last few weeks of summer, and even more-so with riding boots for the mild fall months we see in the south. 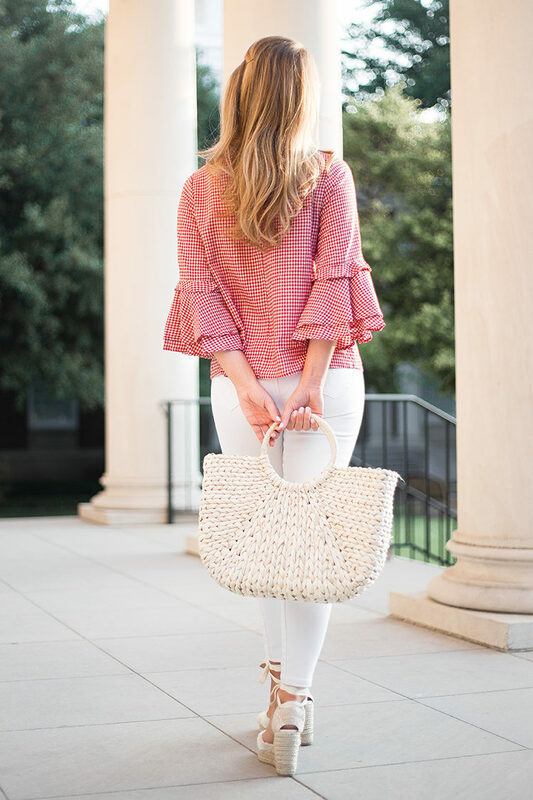 This top has quickly become one of my favorites, and I’m already looking forward to all the use I’ll be getting out of it! It fits true to size (I’m in an XS) so do yourself a favor and go grab it here. 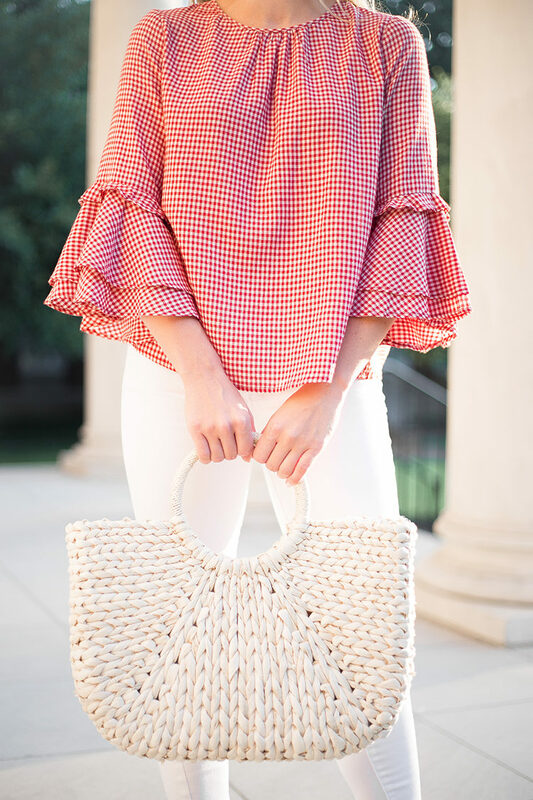 You’ll also be excited to see that it comes in black gingham as well… both, please! P.S. 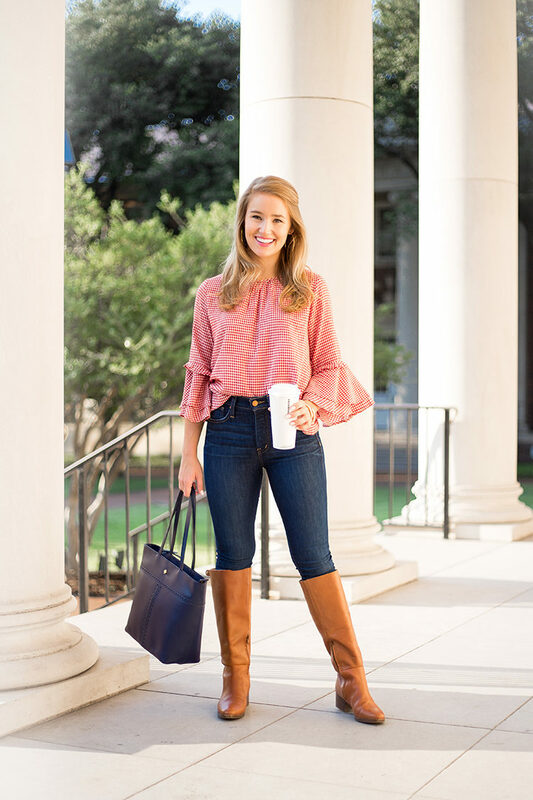 Here’s a look at two more looks from Belk that are great for transitioning into fall. I’ll be posting them to Instagram later this week! Thank you, Belk, for sponsoring this post. 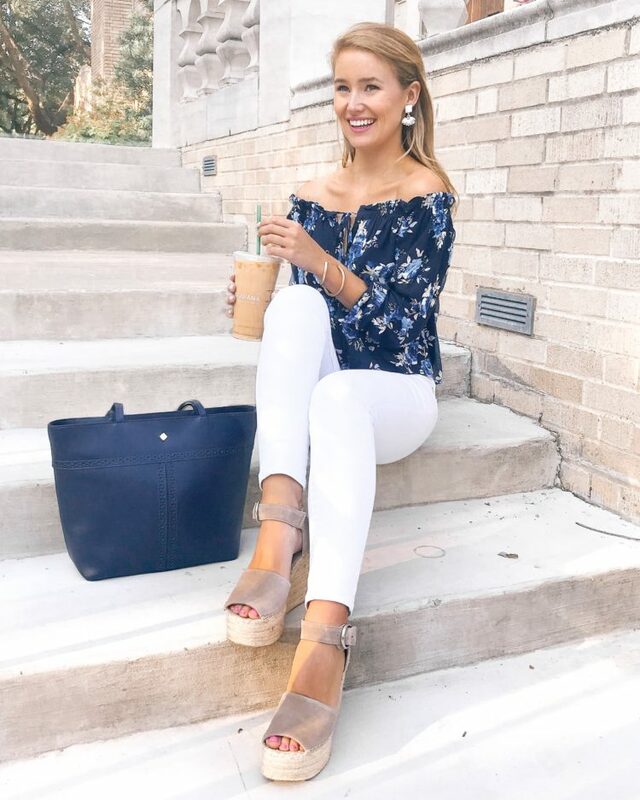 This top is so cute in both of the looks! 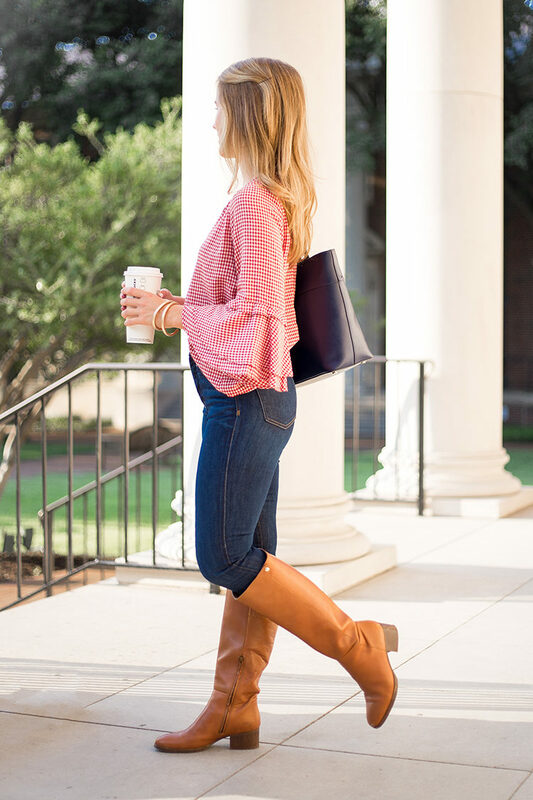 I love tops that can be worn in different seasons, makes the purchase more justifiable!